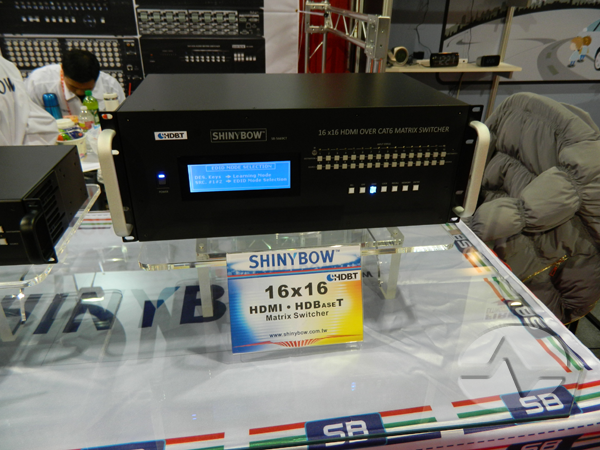 If you’re looking for matrix switching or video wall control, you want to look at Shinybow. They are a lower profile company, but we’ve partnered with them for years to provide quality switch products for bars and restaurants. Their booth wasn’t one of the $200,000 frontrunners and it took some time to find but once we got there it was well worth it. 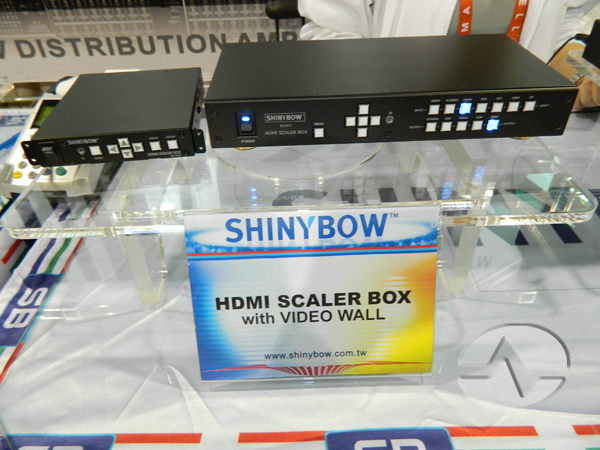 Videowall control was once a big problem but with Shinybow’s new videowall controller it’s easy. 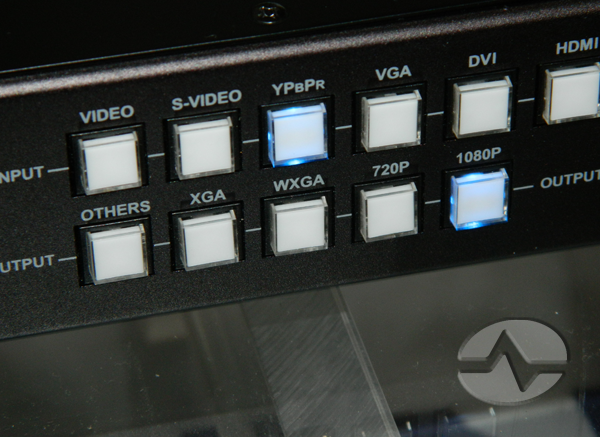 One video source can be display on multiple TVs, or you can set video sources to move around TVs as well. This gives a super-professional presentation. There weren’t too many companies showing HDBaseT products this year. It’s still a new technology, but more and more boxes are being built to support it. It’s an open standard for sending HD signals over standard category 5 cable. 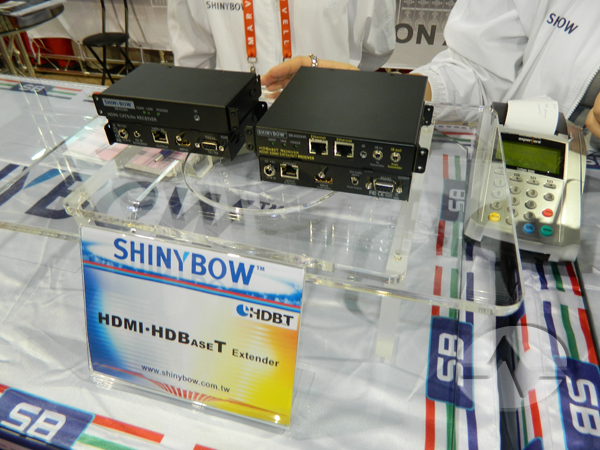 Shinybow proudly showed off its HDBaseT line which will allow HD programming to be easily distributed across a bar or restaurant over pretty much any distance. Of course, sending one image over network cable is great, but the star here really was their 16×16 HDMI, HDBaseT matrix switcher. If you’re looking to control 16 televisions from a central rack, and you want the cabling to be easy, this is a great product for you. Easy to rackmount and easy to implement. Right now, all these products are unavailable to US customers but Shinybow reps tell us that they will be here soon and we’ll let you know when Solid Signal will be carrying them! Cord-Cutters: Attenuator or Distribution Amplifier?